© Ellen Moody. No part of this website page may be reproduced without express permission from the author and website/blog owner. All uses of information or evaluative commentary should be acknowledged and documented. Linking is encouraged. In order to make the calendar section of this homepage complete, I have decided to place here the complete published paper which appeared as "A Calendar For Sense and Sensibility" in Philological Quarterly, 79 (Fall 2000), 233-266. The argument of the paper is that the extant calendar of the 1811 Sense and Sensibility reveals an underlying set of features typical of epistolary novels. 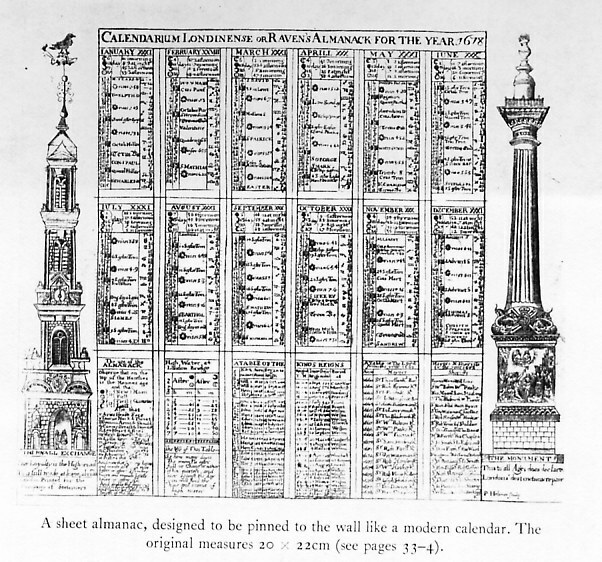 It is improbable Austen would have gone to the difficult trouble of erecting such a calendar or her novel had such features had it not been that the original calendar was written as letters. Then its ironic and juxtaposed events would have emerged naturally from the way epistolary narrative allows the writer to escape chronological time within a letter. If I were to revise it, I would stress the obsessive telling of time throughout the book, how each phase of action moves in hours, days, weeks, months, carefully calculated against distances and places. I omitted many of the citations of lengths of time that were not necessary for my calendar, but they are there and part of what went into the timeline and feel of the book, its inner structuring. I would stress the loss of ironies in the omniscient narrative, especially those which link Willoughby to Brandon in a relationship that we don't know about sufficiently ("I do not know what you and Mr Willoughby will do between you about her," II:4, 137) . Even if it's not necessary for the argument I would speculate on correspondents. Elinor was a central linchpin to be written to and she writes others. So too Mrs Dashwood who stays in the cottage and writes Brandon and he writes back to her. Elinor and Mrs Dashwood correspond. Letters which expose the writers were predominant: by John Dashwood (to Elinor), by Mrs Jennings (to Charlotte, to Elinor), by Lucy Steele. Robert Ferrars' letters were seen as a special treat: the beau, the fop. Marianne wrote Margaret who is not a child in the novel but pre-pubescent (13). Nancy Steele wrote comic letters (perhaps to her cousins). The novel began in September and the previous material was flashback. There are three histories told by three men: Brandon first, then Willoughby, then Edward at close and Mrs Jennings loves to indulge in memories of the past. There has been one brief attempt to draw out the chronology of Sense and Sensibility, Patricia Craddock's "The Almanac of Sense and Sensibility. "2 Craddock did not carry her project through consistently or thoroughly. Throughout most of her essay she remains undecided between wide-ranging pairs of years (1794- 95, 1797-98, 1800-1, and 1805-6). When, at the end of her piece, she suddenly dates the Easter of the novel as 31 March, as this date enables her to suggest the calendar of Sense and Sensibility as we now have it was based on a 1792-93 almanac, she ignores the fact that the dates we have for the Juvenilia are precisely these and that the Juvenilia are the work of a much younger mind.3 She also does not cite Austen's sister, Cassandra's memorandum, in which, if Cassandra is somewhat vague about the date of an earlier version of the book, she nonetheless most decisively said: "I am sure something of the same story & characters had been written earlier & called Elinor and Marianne," and that the Sense and Sensibility we have is a text "begun Nov. 1797. "4 More importantly--for the whole point of a calender is to explain what we have in Austen's text -- Craddock does not check to see if and how this date coheres with various other quite definite indications of time the novel offers. She never stops to examine exactly how many years the action of this novel circumscribes. She does not minutely examine time in Sense and Sensibility. Nonetheless, when at the opening of her essay Patricia Craddock asserts that her examination of the underlying calendar for Sense and Sensibility made her sense what she had found was the "early structure" of a previous "epistolary version" of this novel, she was correct. I have already quoted Cassandra's decisive comment that Sense and Sensibility existed in an earlier version called Elinor and Marianne. To this I add the characteristically modest, and carefully-qualified, but determined statement Austen's niece, Caroline Austen made in 1869 that Sense and Sensibility was first told in letters: "Memory is treacherous, but I cannot be mistaken in saying that Sense and Sensibility was first written in letters, and so read to her family." The problem Craddock had was that she felt she could only assert that the time-scheme in several different sections of the novel shows the novel we have "closely resembles that of the year of the original epistolary version of the novel, 1795" (why this year I don't know). Thus she only begs the key question of what this epistolary version was like. Craddock makes even less of an effort than Brian Southam in his brief and somewhat half- hearted reconstruction of who wrote to whom.5 Like Southam and others who have wanted to discuss what the earlier version of the book may have been like in order to shed light on the present version, she probably felt herself unable to figure out who wrote to whom. My counter argument is that the sort of specific details of who wrote to whom are not important because they are not indications that we have an epistolary narrative. There have always been and will continue to be countless omniscient novels in which characters write letters to one another from different places, and in which such letters may be crucial to the plot or revelation of character.6 What marks Sense and Sensibility as epistolary is what in her seminal book on epistolary narrative, Epistolarity: Approaches to a Form, Janet Gurkin Altman calls "epistolarity" by which she means the use of certain complex formal properties which are fundamental to the structure of the plot or story of the novel: "multiple plots," especially "disruption of the temporal line by nonchronological ordering," "multiple correspondents" (each character giving different coloring to a story), and "lacunae" (the punctuation of a story with letters and the use of intervals between letters in which further meaningful events happen). "7 These structures make all truths in such novels relative, a function of the mind that reports them, and lead to psychological depths, variety of perspective, and circularity of argument that forms the groundwork of the inescapable subjectivity of epistolary novels. My argument for the present epistolary nature of Sense and Sensibility as derived from its original basis rests not on my ability to speculate who wrote to who or from where, but rather on the calendar for Sense and Sensibility I have extrapolated, and which reveals a basis for the epistolarity of the novel's plot-design, a plot-design which helps to account for the feeling so many readers have had, that this is a novel which was originally epistolary. The extant calendar in Sense and Sensibility allows for a story to be told in letters by different people over a considerable period of time and from different places; and the calendar reveals Austen used temporally rearranged and juxtaposed telling of a story or stories which is precisely the ironic structure fundamental to epistolary narrative. The first problem that confronts the serious chronologist of Austen's Sense and Sensibility is that the chronology of this novel is convoluted and lengthy. While in Austen's other five novels we can find references to events which occurred before the novels open, the time when these events occurred is left imprecise, and the precise details of the earlier events are not crucial to our understanding the specifics of the present-time events and characters before us. In Sense and Sensibility events that occurred before the novel opens are crucial to our getting the irony of what's happening as we watch events unfold in present time. A few examples: the illegitimate children and death of Eliza Brandon; Lucy Steele's and Edward Ferrars's engagement; Willoughby's intimate involvement with Eliza Williams whose character mirrors that of Marianne and whose mother looks like Marianne a woman Colonal Brandon has been longing for. The time span of this book is extraordinary. The only other of Austen's novels to cover more than one and one half-years, Mansfield Park, chronicles a mere ten (the novel begins when Fanny Price is nine and ends when she is nearly nineteen). The mood and action of Persuasion is the result of what happened eight years ago, and Pride and Prejudice takes us back to Darcy and Wickham's boyhoods. But in none of these three -- nor in Emma in which Austen's narrator briefly tells the genesis of Jane Fairfax's and Frank Churchill's situations and characters -- does Austen refer to a detailed chronology that may be consistently plotted backwards and forwards. Sense and Sensibility is grounded in a chronology which is internally consistent for 37 years. An extraction of the chronology thus necessitates paying attention to the book's many flashbacks. Two are long and elaborate and have long been commonplaces of those who criticize the novel as in places crude or very early work. I speak of Colonel Brandon's history of himself and Eliza Brandon (2:9: 204-11, 31:173-78), and Willoughby's history of himself and Eliza Williams (3:8:319-27, 44:271-77). But equally essential to the construction of the novel's calendar and its ironic parallels are its many other flashbacks which are scattered throughout the novel, and which are all much shorter than Brandon's and Willoughby's tales, and have thus escaped attention. In this category we have Lucy's and Edward's histories of Edward's time at Mr. Pratt's school, their falling in love, their engagement, their correspondence (1:19:101-3, 22:130-34; 2:1:140; 3:13:362, 19:88- 90; 22:111-14, 23:118, 49:307). There are the scattered bits of Mrs. Jennings's history of her family's comings and goings, which she tells in spontaneous spurts and appear to be included merely for the reader's entertainment (1:20:114-15, 2:4:160, 8:196-97; 20:98-99, 26:135, 30:165-66), but in these the history of Brandon is further unravelled, and they dovetail in signficant ways into that history. There is Nancy Steele's garrulous talk which punctuates at widely dispersed intervals the present time stories and and further explains their background (1:21:123-25, 3:2:272-75; 21:105-7, 38:229-31). In Sense and Sensibility we have a chronology which encompasses or is built out of pieces taken from six comparable love stories which occurred at parallel points in time, which, if presented through letters would be in dramatic contrast -- and would not have been so set up if such an effect had not originally been intended. The most striking examples are: the death of Mr. Henry Dashwood which occurs in the same month of the same year that Willoughby and Eliza elope from Bath (see calendar below, February 1797, for this and several others); Edward's sojourn with Lucy in Longstaple, which occurs during the most intense phase of Willoughby and Marianne's relationship; Marianne's solipistic grief over and expectation of Willoughby'a return or at least a renewal of their courtship at the very time he is duelling with Brandon over Eliza Williams and courting Sophia Grey. The original dramatic irony and parallelism still in the book reveals the book's original epistolary structure. The second problem the chronologist of Sense and Sensibility confronts leads away from the epistolary nature of the text and its uses of time, and recalls the debates scholars have had over the chronology of Austen's Pride and Prejudice, Mansfield Park, Emma, and Northanger Abbey.8 In these four novels Austen withholds just enough information to prevent her reader from knowing with precision in which years the novels are set. One cannot make an ironclad case for specific years or the decades across which the action of Sense and Sensibility takes place either. In her "Advertisement to Northanger Abbey we find that she worried lest her readers find her novels "obsolete" ("by the authoress," unpaginated in Chapman and Butler), and I suggest one reason Austen covered her tracks was that she wanted to obscure how often she had rewritten the novels, to prevent readers from noting inconsistent references in them: her letters show an intense concern with verisimilitude and alert willingness to be literal about what occurred together in history so as not to disturb the most literal-minded and pedantic reader. In the case of Sense and Sensibility, it is only in the second and then increasingly in the third volume of the novel that events are attached to cited months, dates, or days of the week which we can work back from consistently. But I can offer a reasoned conjecture which makes sense of the data we do have by following MacKinnon and Chapman's procedure of using Easter as my point of departure. This is my basis for eliminating years in which the present action of the novel cannot have taken place; we then examine which of those possible years left fit with the other indications of time in the novel. Let us first observe that after the long phase of the novel which occurs in London (15 chapters), we are told that the Palmers plan to leave London for Cleveland "about the end of March" so that they may be fully ensconced at Cleveland "for the Easter holidays" (3:3:279, 39:236). This tells us that in the year the novel is set Easter took place not in the first days of April, but a little later in the week. The actual departure of the Dashwoods takes into account the "more than two day" journey the women expect to take between London and Cleveland is "very early in April" and "tolerably early in the day" (3:6:301, 42:255) so that the party may still be in time for Easter. There are four years between 1793, the earliest year in which many Austen scholars have conjectured Austen could have written the story Cassandra called Elinor and Marianne, and 1811, the year in which she published the present Sense and Sensibility in which it was possible for Jane Austen to have the Palmers leave London either at the end of March or and the Dashwoods "very early April and yet all get to Cleveland in time for Easter: 1798, 1801, 1803, and 1809.11 We may exclude 1801, 1803 and 1809: if it were 1801 the women would have arrived on Easter Sunday, not in time for Easter Sunday; if it were 1803, when Easter fell on 10 April, there is no need to leave so early; if it were 1809, Easter fell on 2 April. That leaves 1798 when Easter occurred on April 8th. I have drawn a calendar which is consistent for the 37 years using the 1797-1798 calendar as the span of action in present time of the extant novel as we have it as the more probable and indeed the only possible of all four choices. 1798 has others claim to probability before all other years too. Let us recall the jotted memorandum in which Cassandra wrote that Austen began "Sense & Sensibility" in "Nov. 1797," she also wrote that Austen began "First Impressions" (the earlier version of Pride and Prejudice) in "Oct 1796" and "Finished" it "in Augt 1797," and wrote "North-hanger Abbey . . . about the years 98 & 99." The sense of the note is that Austen wrote full drafts of these three novels in a row. It will be asked, "Did not Austen revise Sense and Sensibility between 1809 and 1811, the first two years of her life at Chawton Cottage, and could she not have, as she did for in the case of Pride and Prejudice reset the novel into the years of her last revision?" First, 1809 is subject to the same objection as 1801; there is simply not enough time for the women to take their more than two day journey from London and still make Cleveland in time; further as will be seen below the years, 1809-10 do not fit the timeline of the extant novel. Equally importantly, we do not know that Austen did indeed thoroughly revise Sense and Sensibility during the first two years she lived at Chawton Cottage. It has always been supposed so. But we do not know this. All her letters tell us is that on 25 April 1811, she is correcting the sheets for publication. What revisions we hear of are recorded on 20 January 1813, and they are of book now called Pride and Prejudice (Letters, 182, 202). The tendency to suppose something about Austen's writing habits or when she wrote or revised a given novel and then to have that supposition become received truth occurs again and again in Austen studies. One reads that she stopped writing when the family went to Bath and only began again when they arrived in Chawton Cottage. As there is not a shred of evidence to support this contention, and a number of studies have shown or assumed from the evidence of differing references in the texts that Austen continued to write throughout the decade,12 so we don't know what Austen did to Sense and Sensibility between the years 1798 and 1811. I admit I am speculating too, but hope my speculations will persuade when the calender is studied. The year of my calendar is based on my belief that during this time Sense and Sensibility underwent another different kind of revision compared to the one which turned First Impressions into Pride and Prejudice. For Elinor and Marianne (if that was its name) she added new elements to the book (the opening six chapters), and turned an epistolary book into an omniscient one, but but she kept the original years intact, and did not much change the the sutures which covered over the original change from an epistolary to omniscient book. 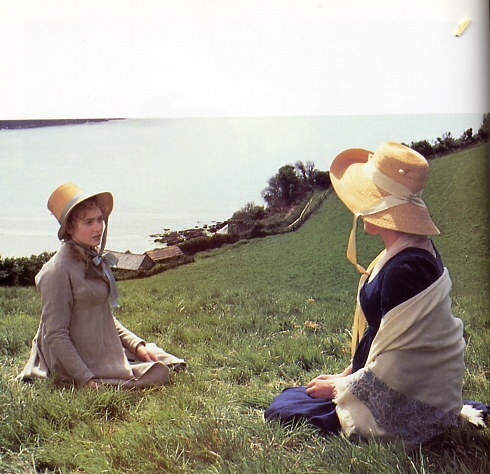 Cassandra is careful to say that it was First Impressions that was contracted and altered ("alterations" and "contractions") not Sense and Sensibility. In addition, it is also true that the chronology of the book we have reveals abrupt switches in pace, contains sudden gaps in time which is metaphorically papered over by references to letters which we no longer have but are merely described, and one sudden backtracking when Austen suddenly puts material in that occurred earlier in a place later in time and then has to account for not telling us about this earlier. These are signs of partial revision, an attempt to keep a great deal and yet change the structure. An example of the first occurs when the Dashwoods arrive at Barton Cottage (1:6). The novel suddenly changes character: where it had been contracted and moved over decades swiftly just coming down to dramatize this or that scene, indications of time become "frequent and precise" (Chapman's words for time in Pride and Prejudice, Mansfield Park and Northanger Abbey), dense with detail to the point that we can tell what time of day an event occurred. The change is sudden, and since the chapter which contains the conversation between John and Fanny Dashwood appears in this section, I suggest it was the 1797 version of Sense and Sensibility which began in September -- I remind my reader that Pride and Prejudice and Emma begin in September too. Chapters One through Six are an addition which record Austen's feelings and experiences since her father died and she and her mother and sisters were dependent on the brothers and their wives. There is a sudden indeterminate interval or gap in time between Willoughby's encounter with Marianne at the party and its immediate aftermath (16 - 19 January, 2:6-9, 28-31) and the arrival of the Steeles (from Devonshire) and John and Fanny Dashwood, and Edward and Mrs. Ferrars (from Sussex) in London (5 February, 2:10-12, 32-34). Here again time is filled up references to letters. We are told that upon learning the truth about Willoughby from Elinor's letter, Mrs. Dashwood writes "long letters . . . quickly succeeding each other" which express her anxiety, solicitude, advice to Marianne to "bear up with fortitude," and advice to Elinor that she and Marianne "not . . . shorten their visit to Mrs. Jennings; the length of which, though never exactly fixed, had been expected by all to comprise at least five or six weeks" (2:10:212-14; 32:179-80). When Lucy arrives in London, she can irritate Elinor with feigned surprise at finding Elinor still in town. Of course Lucy has come to town because a letter from Edward told her he and Elinnor are there (2:10:217-18; 32:183-84). When Elinor sits down to write to Edward Ferrars to tell him of Brandon's offer of a living later in the novel, Austen accounts for her knowledge of Edward's address by the quiet ironic remark "fortunately, she had heard his address from Miss Steele" (3:3:283; 39:240). This takes us to the strange eruption of one Mrs. Denison, a lady never heard of before or again, and the placement of her dinner party. The reader will notice in my calendar that after the birth to Mr. and Mrs. Palmer of a son, Thomas (born "a few days" after the February 14th meeting of Elinor, Lucy, and Edward [2:14:246; 36:207], Mrs. Jennings vanishes from the present book for a fortnight-long vigil first over her daughter's parturition and her grandson's first week and one-half of lifel. Between 15 February and 3 March, Elinor and Marianne Dashwood find themselves constrained to "spend the whole of every day at Conduit Street" (2:14:246, 3:1:257; 36:207, 37:217). It is during this interval that Mrs. Dennison's musical party takes place. While there Mrs. Dennison's mistaken belief that Elinor and Marianne Dashwood are staying with John and Fanny Dashwood leads John Dashwood to think he and Fanny ought actually to have the Dashwoods spend a week of Mrs. Jennings's day-long absences from Berkeley-street with them, which suggestion Fanny pre-empts by saying she was about to invite the Steele sisters to Harley Street. There is a whole group of oddities here. First, the musical party cannot be more precisely dated. Yet all the events in the novel from the time of the Dashwood's arrival at Barton Cottage (1:6, see above and calendar below) are chronicled with precision except for those intervals accounted for by letters up until this musical party is introduced. The events surrounding and leading up to the musical party are tracked precisely. Time always moves forward during this portion of the novel, and carefully delimited time intervals begin once again when Mrs. Jennings, Elinor, and Marianne resume their daily schedule at Berkeley Street. It is only the party itself and its important consequence, the coming to Harley Street of Lucy and Nancy Steele, that are left indeterminate (again see calendar below). "The consequence of which was, that Mrs. Dashwood was obliged to the exceedingly great inconvenience of sending her carriage for the Miss Dashwoods; but, what was still worse, must be subject to all the unpleasantness of appearing to treat them with attention: and who could tell that they might not expect to go out with her a second time? The power of disappointing them, it was true, must always be her's" (2:14:248; 36:209). I suggest Mrs. Dennison and her musical party constitute an afterthought smuggled in to explain how Lucy and Nancy Steele came to live at Harley Street, which circumstance Austen found she could not do without or change unless she were to rewrite how Fanny came to know that Lucy and Edward were engaged. We are told that it was "during the evening" of the party that the idea he ought to invite his sisters to his home "struck" John Dashwood so forcibly that later that night when he and Fanny came home that he "startled" her with a thought-out proposal. We are also told that "the next morning" she "wrote to Lucy, to request her company and her sister's, for some days" (2:14:252-54; 36:212-13). "Within ten minutes" of the arrival of this letter on the same day, Lucy shows Fanny's letter to Elinor and also "instantly discovers" her visit to Lady Middleton was "always meant to end in two days time" (2:14:254; 36:213). I would not want to give up the musical party. The satiric flair with which Austen personates the awful Robert Ferrars is in the vein of the opening memorable and grating conversation between John and Fanny Dashwood. But that's not why Austen wrote the scene. She wrote it so she could account for the presence of Nancy and Lucy Steele in Harley Street with some appearance of probability. This way she kept the comic first person narratives of Mrs. Jennings, John Dashwood, and Nancy Steele (which were probably originally ironically juxtaposed letters) at the center of the novel's structural secondary climax (the first is Lucy's confiding to Elinor that Lucy is engaged to Edward). In the calendar which follows I have gone beyond Chapman's format. I have italicized all dates, days of the week, numbers of days, times on the clock, months cited, numbered days and precise interstices of time in in the novel. I have also provided brief intervening explanations of how I arrived at given dates or sequences, with some commentary upon those sequences -- mostly pointing out the epistolary nature of the structuring of events. I have further differed from Chapman by giving all the pages from which all information is taken or inferred. Ours is a gumshoes operation. Thus I have also provided consistently longer descriptions of what occurred on each date and, where necessary, the place in which it occurs as well as supportive quotations from the text. Letters are not only written from and by one character to another; they are written from one place to another. We begin with the material offered to us through flashbacks (1762- 96). Chapter One begins in February 1796. This date was arrived at in the following way: I first calculated how long it would have taken Mrs. Henry Dashwood and her daughters to travel from Norland Park, Sussex, to Barton Park, Dorchester in "very early September" (three days), and then reckoned back "six months," the amount of time we are told Mrs. Dashwood and her daughters lived with John and Fanny Dashwood at Norland.15 I also call the reader's attention to two dramatic events which occur at the same time, and which an epistolary narrative would have made effective use of: while Mr. Henry Dashwood lies dying and extracts a promise from John Dashwood to provide for his stepmother and stepsisters, Willoughby and Eliza elope. 1791: Mrs Jennings visited Allenham even then in bad shape; on day Willoughby and Marianne go to Allenham she says "six years ago she saw Allenham and its "forlorn furnishings." Wednesday 20 September 1797. Willoughby and Marianne meet "one memorable morning," the rescue and his departure "in the midst of an heavy rain." (1:9:41-42; 9:37-38) . From October through to the last two or three days of the visit of Edward Ferrars to Barton Cottage, I arrived at the dates by working backwards from the time of Willoughby's sudden departure from Allenham a week or so after Brandon's departure (see below). This frantic departure Brandon tells us (in February, "almost a twelvemonth back" from the time of Willoughby's and Eliza's elopement) was the result of a "letter from" Eliza Williams, "last October" (1:9:208, 31:176). These events cohere with the time of Willoughby and Brandon's duel in London, which Brandon says occurred after Eliza Williams almost immediately gave birth in the country and "within a fortnight after" Brandon himself arrived in town (2:9:211, 31:178). All these events as described and dated also tally with Edward's arrival at Barton cottage in mid-November (a time when dead leaves cover the ground) which followed hard upon the two weeks he spent at Longstaple with Lucy and Anne Steele, and a "month" after he left Norland Park (1:16:87, 22:134; 16:76, 22:113). The days between Willoughby's sudden departure and Edwards' arrival are gone through through one-by-one as the phases of Marianne's grief. The day of the arrival of the Palmers (Thursday 23 November 1797) until the break in time between Lucy's confiding the whole of her history to Elinor, and the movement of Mrs. Jennings and Elinor and Marianne Dashwood to London depends on working backwards and forwards from two statements: one by Elinor and the other by Lucy Steele. In early March (on a day that can be dated by explicit references to days and weeks of the month given us by the narrator and Nancy Steele in Volume 3, see calendar below) Elinor tells Marianne that she has known about Lucy's engagement "these four months. When Lucy first came to Barton Park last November, she told me in confidence of her engagement" (3:1:262; 37:221). That Lucy and Anne first came to Barton Park towards the close of November is confirmed by Mrs. Palmer when she tells Elinor she met Colonel Brandon in London on the Monday morning before she and Mr. Palmer set out from London for Barton Park (20 November, see calendar below). Again working from a minimum three day road trip, we find the Palmers arrived late at night on 23 November 1797. This is consistent with the Steele's arrival on 27 November, the day after Sir John and Mrs. Jennings invite them to stay at Barton Park, and Elinor's reference to "last November" as the time "when Lucy first came to Barton Park" (3:1:262; 37:221). To discover exactly what day it was when Lucy confided to Elinor her history is made easy by Lucy. Although the Steeles arrived at Barton Park in late November, Elinor sees Lucy more "than twice" (see below Thursday 30 November 1797) before she discovers why during their second encounter Nancy Steele says she knows Edward Ferrars very well. This throws us into the first week of December (still four months before the middle of March) for the first conference which Lucy dates in the second by saying she was "somehow or other afraid I had offended you by what I told you that Monday" (2:2:146; 24:123). The Monday referred to in the year 1797 was 4 December 1797. I remind my reader that there is an indeterminate interval of time between Lucy and Elinor's last conference and the arrival of the Dashwoods and Mrs. Jennings in London which is filled up by Elinor's long meditation.16 Built into the Dashwoods' time at Barton Cottage are also a whole host of ironic contrasts which parallel correspondences in an epistolary novel would make effective use of: for example, Marianne's "season of happiness" occurs just when we lose sight of Edward, and Elinor is anything but happy; at the very time Willoughby is declaring his undying affection for the Dashwoods and Barton cottage as is, Brandon is removing Eliza and her new-born baby to the country; at the very time of Marianne's most violent affliction, Willoughby and Brandon duel and Edward is visiting Lucy Steele. Finally, there is a reinforcing parallelism of similar events up to the time the girls leave for London which the epistolary format would bring out strongly. On or about the very day Mr. and Mrs. Palmer left Cleveland so suddenly and hastily for London, the Dashwoods girls see Edward Ferrars galloping urgently on the road which lead to Barton Cottage (see above, 15 November 1797 and below, 23 November 1797) Here we can also note that Austen keeps her eye not only on the time it takes to travel from one place to another, she also makes the way a character goes on a trip reveal facets of that character's imagined personality and relationships with others. In excuse for her leaving the day after she has arrived at Barton Park, Mrs. Palmer says: "It was quite a sudden thing our coming at all, and I knew nothing of it till the carriage was coming to the door, and then Mr. Palmer asked me if I would go with him to Barton" (1:20:110; 20:95); the swiftness of the trip reminds Mrs. Jennings of Brandon, but, given her daughter's "situation," she deprecated it, and we see Mr. Palmer's lack of concern for his pregnant wife (1:19:106-7, 19:92-93); we also that Charlotte did not try to make any choice of her own felt. There is a parallel here with the Steele young women too: they are ready at a day's notice to go and live with just about anyone who has access to a comfortable house and a table with food upon it. Thursday to Monday 9-13 November 1797. "A few days" pass in which Marianne sinks into "calmer melancholy;" "several days" (more indeterminate) after Willoughby gone Mrs. Dashwood mentions Willoughby's name, "takes up a volume of Shakespeare," saying "it may be months" before Willoughby's return, to which question Marianne replies "No -- nor many weeks." (1:16:83-85; 16:73-75) Still not specified. Thursday 16 November 1797. "The next morning" "after breakfast" Edwards goes to village "to see my horses;" Marianne notices his "ring with plait of hair" the color of Elinor's in center. "Before middle of day" Sir John and Mrs. Jennings visit the cottage, invite everyone to tea at Park that night, to dine and dance the next day. This day begins the "F" jokes. (1:18:96-97, 99; 18:84-87) Tick tock tick tock. TUESDAY 9 JANUARY 1798. "About a week after their arrival," on a day Willoughby refers back to (see below 16 January 1798) as "LAST TUESDAY," Willoughby "watches" Dashwoods "out of the house," and leaves his card, which Marianne sees when they come "in form the morning's drive." That "night" Middletons arrive in Conduit Street; Lady Middleton has a bad cold and Sir John business to conduct. Marianne on the watch every hour of the day (2:5:169- 70, III:8:326-27; 27:142-44, 44:277). The night of the traumatic climax of Marianne's romance with Willoughby may be precisely dated by inference from what just precedes and follows it, and by Willoughby's statement that he left his card at Mrs. Jennings's house "last Tuesday" (see below, 16 January 1798). We are told nothing of significance occurred for three or four days after 11 January 1798; then the end of that time, I take to mean the fifth day, 16 January 1798, a Tuesday in 1798, but it could equally be on the Monday Night. Willoughby then cannot refer to last Tuesday as a week ago if the party occurred 17 January 1798. So it's the 15th or 16th and before the 17th. Bad Tuesday is either the night of the humiliating shocking moment or it's the next morning when she writes her letetr and gets back a mortifyingly insulting letter. I incline towards Tuesday the insult and Wednesday the letter because just this named sequence of days occurs in Lady Susan at a crisis point and the rest of the calendar (following the tick-tocks) fits Tuesday/Wednesday rather than Monday/Tuesday better. The narrator tells us that "early in February, within a fortnight from the receipt of Willoughby's letter" (see below, 1 February 1798), Elinor sees the announcement in the newspapers of Willoughby's marriage to Miss Sophia Grey. Willoughby's letter has therefore to have also been delivered before Thursday 18 January 1798. Since we are told he sent it the morning after in response to hers to him, from that angle the conclusion is the day the final letters between Willoughby and Marianne were exchanged occurs on Wednesday 17 January 1798. As has been said, there is an indeterminate interval of time between 16-19 January 1798 and the arrival of the Steeles and then the Dashwoods of Sussex in London. The dates which begin with 27-29 January 1798, are arrived at by reckoning forwards and backwards from the time Elinor and Marianne met John Dashwood "at Gray's in Sackville street" (a jeweller's), and from his and Fanny's dinner party. This party plays a pivotal role in the plot by bringing Lucy to the attention of Fanny Dashwood and Mrs Ferrars; like the final interview between Willoughby and Marianne, it occurs on a Tuesday in the middle of the month. TUESDAY 13 February 1798. "The IMPORTANT TUESDAY" dinner party which "introduces" Elinor and Lucy to Mrs. Ferrars who "distinguishes" Lucy in order to spite Elinor. Elinor overtly snubbed. (2:12:231-36; 34:196-99). At this point I interrupt our chronology because the following interval of time includes the trip from London to Cleveland Park, Somerset and the references to Easter that led me to conjecture and use the years 1797-8 for this calendar. I want to point out that using Sunday 8 April 1798 as a starting point also coheres with when we are told the discussions of when to leave London occurred and with other events we are told occurred in the middle of March right after Lucy's letter of 12 March 1798 (see above). We are told these discussions fell "a few" or "three weeks" before the "end of March," beginning of April; that is, in the middle of the third week of March, immediately after Lucy's letter, namely, between 13 and 15 March 1798. This middling time of March includes the day Edward travels to Oxford, the one on which when the thought occurs to Elinor that as "It was now above a week since John Dashwood had called in Berkeley-street," she ought to visit Harley Street (3:5:293-94; 41:248-49). As both Colonel Brandon and Edward had called the day before (see below), and we are given to understand these calls occurred a couple of days after Lucy's letter was received and much discussion of a plan that would enable the Dashwood sisters to return to Barton (3:3:279-80; 39:236-37), the day Edward left London and Elinor visited John Dashwood would be either 16 or 17 March 1798. These two days are consistent with two slightly varied comments on the plan which seemed "more elible than any other." On the one hand, Elinor acknowledges that the plan's drawback is it will "detain them from home yet a few weeks longer;" on the other, she says, since Cleveland is "within a few miles of Bristol, the distance to Barton" is "not beyond one day, though a long day's journey." If, therefore, they can manage to make the trip in one day with the help of a servant, they will be home "in little more than three weeks" (3:3:270-80, 41:248-49). I also ask the reader to observe that we can add two following parallel sets of letters to the various correspondences we have already noticed. There is Elinor at Cleveland Park, Somerset, to her mother, at Barton Park, Devonshire; and there is Mrs. Jennings, also at Cleveland Park, to her daughter, Lady Middleton, in Conduit Street, London. In addition, as is so typical of epistolary novels, at the height of the drama, the letters themselves are not simply actors in the general turns of the story (e.g., as earlier in the book Sir John Middleton's letter late in August 1797 brought the Dashwoods from Sussex to Somerset), but are central to the turns in theatrically- presented crises from hour to hour. To Elinor, as she watches by Marianne's bed, time stands still; to Willoughby, because Sir John had read a letter Mrs. Jennings wrote to Lady Middleton suggesting Marianne was near death, time is a force to be beaten as he rides hard clear across England, travelling from London to Somerset in twelve rapid hours. Tuesday 3 April 1798. "The second day brought them [the ladies and their various servants] into the cherished, or the prohibited county of Somerset." (3:6:302; 42:256). Tuesday 10 April 1798. This is the day Marianne spends "in sitting shivering over the fire with a book in her hand, which she was unable to read, or in lying, weary and languid, on a sofa." Elinor nurses but "felt no real alarm, but Marianne then has "a very restless and feverish night." (3:7:307; 43:260) A constructed Tuesday. At this point in our chronology we are confronted with a slow switch in pace and here and there indeterminate intervals: Austen still keeps time obsessively even (Mrs Dashwood "removes within four days time" to Mrs Palmer's dressing room; "at the end of another day" Marianne growing stronger; "every twelve hours" &c&c (III:10, 289). We are not told exactly how many days intervened between Mrs. Dashwood beginning "to talk of going to Barton" and the actual "day of separation and departure." Still the ticking of the clock of Austen's mind and Mrs. Dashwood's dispatch when once she made up her mind to accept her cousin's invitation to come to live at Barton Cottage (see above August 1797), suggest she was held back only by the time it took Colonel Brandon and Mrs. Jennings to convince her to "accept the use of his carriage" (3:10:341; 46:289-90), a day to talk and a day to depart, two at most. Since there are indeterminate periods the final calendared phase of the book is dovetailed into the above conjectured departure day. I used the narrator's telling us Colonel Brandon appeared at Barton Cottage after a "three weeks' residence" in solitude at Delaford (3:13:369; 49:313). I similarly used the information provided by the narrator that the day Edward visits Mrs. Ferrars in London to gain her permission to marry Elinor was a "fortnight" after Robert's elopement; that is, that Mrs. Ferrars had for "a fortnight" been "without any" son (3:14:373; 50:317). Then with this probable conjecture to cross indeterminate time, the text permits the same kind of day-by-day and week-by-week chronicling performed by Austen from the time the Dashwoods first came to Devonshire (see above 2 September 1798). We can state exactly when Edward Ferrars arrived at Barton Cottage with the news of Lucy Steele's elopement with his younger brother, Robert Ferrars. But we note the different kind of material before Chapter 6 and a gap between Chapter 9 and 10. Chapter 9, Willoughby's confession was probably a long letter and not sutured in readily. This latter accounting for time is achieved through information provided by a letter (see above 17-26 April 1798). Mrs. Jennings writes Elinor to tell her that "two days" before Lucy eloped, Lucy visited Mrs. Jennings, and "one day after" this elopement "Nancy came crying" to her because Lucy had taken almost all Nancy's money as well as her own. If we give Lucy and Robert the same three days travelling time to get from London to Devonshire as we gave Mrs. Dashwood and her daughters, we can date when they married, when Lucy wrote her letter to Edward, and, with further intervals of time suggested by the narrator, when Edward rushed with such relief to Barton. Friday-Saturday 4-5 May 1798. Two days later after leaving London (see above), Lucy and Robert would pass through Exeter; the Dashwood's "man- servant," Thomas, talked to Lucy from inside "a chaise at the door of New London Inn," and reports back, correctly, that "They come straight from town," but assumes, incorrectly, that it is Edward whom Lucy has married. (3:11:353-54; 47:299-300). Austen did not plot the concluding events in the stories of Lucy and Robert Ferrars, Mrs. Ferrars, and John and Fanny Dashwood with precision. The epistolary novel might have ended or broken off similarly to Lady Susan. In her novels she seems to lose interest in the development of the concluding narrative once the central conflicts are over and characters returned to home base. So, of Lucy and Robert Ferrars we are only told that they "earned" the "real favour and preference" of Mrs. Ferrars "before many months" after their marriage "had passed away." They "passed some months" in "Dawlish" before Robert returned to London, and "procured the forgiveness of Mrs. Ferrars, by the simple expedient of asking it" So sometime the following fall they were reconciled -- around the the time of Edward and Elinor's marriage(3:14:375-76; 50:319-20). The paragraphs which then take us to the end of the story of Lucy and Robert Ferrars and John and Fanny Dashwood (3:14:375-76; 50:320) are, however, placed after we are told Elinor and Edward married "early in the autumn" (3:14:374; 50:318), but before the close of Marianne's story, which is her marriage to Colonel Brandon "two years" later (1800) (3:14:378; 50:321). Thus we are encouraged to infer that Lucy's relatively brief period of ostentatious penitence and humility and hypocritical gratitude (which includes sending notes to Mrs. Ferrars), and her and Robert's settling in town with Mrs. Ferrars's "very liberal assistance" near John and Fanny Dashwood began sometime after "early autumn" 1798, but concluded well before September (see calendar below). Austen did take care to fit the conclusions of Elinor's and Marianne's stories into the novel's calendared time in such a way as to make reference to a year-long cycle of time. If we take Elinor's story to begin in September when the Dashwoods arrived in Devonshire--and certainly her parting from Edward occurs then--when we are told the ceremony took place "in Barton Church early in the autumn," we see Austen aligning her action against the seasonal pattern of a year as she would do closely in Emma. Austen makes a joke of it, but underlines her intent when after Elinor and Edward then spend the "the first month" of their marriage "with their friend at the Mansion-house," they are visited at the "Parsonage" by that garrulous lady, Mrs. Jennings, who always knew she would visit some couple or other at Delaford Parsonage "by Michaelmas" (3:14:374, 50:318). Three times earlier in the book Mrs. Jennings predicted "they would all" be "comfortably together in Delaford Parsonage before Michaelmas"--she just had the wrong couples in mind (2:10:216, 3:4:292, 5:293; 32:182, 40:247, 41:248). Marianne's marriage to Brandon, is made to correlate ironically with her first passionate rejection on Sunday 17 September 1797 (see calendar above) of Mrs. Jennings's notion that Colonel Brandon is in love with her because, forsooth, "he must have long outlived every sensation of the kind" and thus it would be only a "compact of convenience (1:8:37-38, 8:33). This joke's on Marianne, for the narrator tells us she marries him precisely "two years" later (3:14:378, 50:321). And, finally, the penultimate paragraph of the present novel, presents one more dovetailing. The vestigial character left over from one of the earlier revisions (probably used as a correspondent), Margaret is fitted back into the book. Her age is made consistent with all that has gone before. She was 13 in February 1797 when her father, Mr. Henry Dashwood, died (1:1:7, 1:6), and has now reached, as our narrator says, "an age highly suitable for dancing, and not very ineligible for being supposed to have a lover," going on sixteen, just Lydia Bennet's age. Two recent films made her into a child when in fact she is pre-pubescent and could have been a correspondent who had a childishly lurid imagination. (3:14:380; 50:322). 1 R. W. Chapman, ed. The Oxford Illustrated Jane Austen, 6 vols. (1988; rpt. London: Oxford University Press, 1942-44); Jane Austen, Sense and Sensibility, ed. Ros Ballaster (New York: Penguin, 1995). All references to Austen's novels will occur in my text in parenthetical references and, when relevant, will include the original volume number and chapter of Chapman's editions and the more recent consecutively numbered chapters of the Penguin and Oxford Classic series. 2 Patricia Craddock, "The Almanac of Sense and Sensibility," Notes and Queries NS 26 (1979): 222-26. See also Jo Modert, "Chronology Within the Novels," The Jane Austen Companion, edd. J. David Grey, A. Walton Litz, and Brian Southam (New York: Macmillan, 1986), 54-55. 3 B. C. Southam, Jane Austen's Literary Manuscripts (Oxford: At the Clarendon Press, 1964), 1-44; see also Margaret Anne Doody, "Introduction," Catherine ix-xl; and Jane Austen's Beginnings, ed. J. David Grey (Ann Arbor: University of Michigan Press, 1989). 4 Southam, JA's Literary Manuscripts 53. 5 Craddock 223; cf. Southam, JA's Literary Manuscripts 54-59. On this, against D. W. Harding, "The Supposed Letter Form of Sense and Sensibility," ns (1993): 464-6; see also Ian Jack, "The Epistolary Element in Jane Austen," English Studies Today, ed. G. A. Bonnard (Bern, Switzerland: Franche Verlag, 1961), 174-85; F. P Lock, "The Geology of Sense and Sensibility,," The Yearbook of English Studies, 9 (1979): 246-55; Norman Page, The Language of Jane Austen (New York: Barnes and Noble, 1972), 145-49, 154-56, 174-78; Margaret Lenta, Form and Content: A Study of the Epistolary Novel," Studies in English, 10 (1980): 14-30. 6. Robert Adams Day, Told in Letters (Ann Arbor: University of Michigan Press, 1966), 84-145. See my "Partly Told in Letters: Trollope's Story-telling Art". 7 I am heavily indebted to the work of Janet Gurkin Altman, Epistolarity: Approaches to a Form (Columbus: Ohio University Press, 1982); the quoted words and terms may be found on pp. 4-5, 170. 8 See, for example, Chapman, P&P 400-8; MP 554-7; Emma 497-98; NA & P 297-302. See also Ralph Nash, "The Time Scheme for Pride and Prejudice," English Language Notes, 4 (1966-7): 194-98; P. B. S. Andrews, "The Date of Pride and Prejudice, 213 (1968): 338-42; A. Walton Litz, "The Chronology of Mansfield Park," Notes and Queries, 208 (1961): 221-22; Bernard Ledwidge, "The 'Strange Business in America,'" Collected Reports of the Jane Austen Society 1949-67 (London 1967): 197-203; Modert 56-57; John Sutherland, "Apple-blossom in June?," Is Heathcliff a Murderer (New York: Oxford University Press, 1996), 14-19; Eugene McDonnell [eemcd@aol.com] in "Jane Austen's error in Emma: Seeing Apple Trees in Bloom in mid-June," Austen-L [austen-l@vm1.mcgill.ca] 19 July 1997; and C. S. Emden, "Northanger Abbey Redated," Notes and Queries, 195 (1950): 407-10; Yasmine Gooneratne, Jane Austen (Cambridge: At the University Press) 61-62. Only Chapman has shown any interest the calendar underlying Persuasion. 9 See Frank MacKinnon, "Topography and Travel in Jane Austen's Novels, The Murder in the Temple and Other Holiday Tasks (London: Sweet and Maxwell, 1935), 88-91; also "J. David Grey, "Topography" and Lorraine Hanaway, "Travel and Transportation" in The Jane Austen Companion, 381-91. See also John W. Carey, Carey's New Itinerary, or An Accurate Delineation of the Great Roads, 9th Ed (London, 1821) 42-51; Thomas Burke, Travel in England: From Pilgrim and Pack-Horse to Car and Plane (London: Batsford, 1949), 89, 99-101, 105; Alan T. McKenzie, ed. Sent as a Gift: Eight Correspondences from the Eighteenth Century (Athens: University of Georgia Press, 1993), especially 6-8. I am also grateful to private communications and calculations by e-mail from John Rempel [jrempel@cc.uumanitoba.ca] 1 Aug 1996; Linda Troost [LTROOST@washjeff.edu], "Travelling Time," 8 Aug 1996; John Dussinger [dussinge@ux1.cso.uiuc.edu], "John Carey Guidebooks," 8 Aug 1996; Jim May [JEM4@PSUVM.PSU.EDU], "Real Letters," 1 Jan 1997. In C18-L [C18- l@psuvm.psu.edu]. 10 Jane Austen's Letters, ed. Deirdre Le Faye (Oxford: Oxford University Press, 1995), 268, hereinafter referred to as Letters and referred to by parenthetical references in my text. 11 In The Oxford Companion to English Literature, ed. Margaret Drabble (Oxford: Oxford University Press, 1985) 126-1150 (Appendix III), the reader will find an explanation and table for the days of Easter and other movable Feast Days dependent upon the date of Easter from 1066 to 2000. 12 Based on the documentary record, all of Chapman's work assumes continuous rewriting. See also Mary Lascelles, Jane Austen and her Art (Oxford: Oxford University Press, 1939); 4-5, 8-50; Q. D. Leavis, "A Critical Theory of Jane Austen's Writings," Scrutiny 10 (1941), 61-90, 114-42, (1942), 272-94; 12 (1944) 104-19; Gooneratne, 11-14; Deborah Kaplan, Jane Austen Among Women (Baltimore: Johns Hopkins University Press, 1992) 155-205. 14 See 1:22:134; 22:114; 2:12:230; 34:194; also 1:22:134- 35, 2:1:139-42; 22-23:114-20. These meditative sequences of deep emotional pain which move out of and again into dramatic narrative represent the core of the material from which the epistolary novelists of the 18th century made their books. See Margaret Anne Doody, "Deserts, Ruins and Troubled Waters: Female Dreams in Fiction and the Development of the Gothic Novel" Genre, 10 (1977): 529-71; Linda A. Kauffman, Discourses of Desire: Gender, Genre, and Epistolary Fictions (Cornell: Cornell University Press, 1986); Patricia meyer Spacks, "Female Resources: Epistles, Plot and Power," Writing the Female Pen: Essays on Epistolary Literature, ed. Elizabeth Godlsmith (Boston: Northeaster University Press, 1989), 63- 76; Joane Hinde Stewart, "La Lettre et L'interdit," Romanic Review 80 (1989), 521-28; and, to a lesser extent, Mary A. Favret, Romantic Correspondence: Women, politics and the fiction of letters (Cambridge: At the University Press, 1993) and Nicola J. Watson, Revolution and the Form of the British Novel 1790-1825: Intercepted Letters, Interrupted Seductions (Oxford: Clarendon Press, 1994). 15 For my sources, see Note 9 above. For the reader interested in specifics I have laid out my thinking as a result of these sources here: we are told Fanny Dashwood arrived immediately after the funeral (1:1:4-5; 1:4), and we are told one, Mrs. Dashwood endured "half a year's residence" with Fanny (1:3:14-15, 3:12); and, two, when Mrs. Dashwood leaves Norland she realizes "their maintenance for six months at Norland" comprises the whole of what John Dashwood will do for them (1:5:27, 5:23). Mrs. Dashwood then arrives at Barton Park "very early September;" the trip from Norland, Sussex, to Barton, Dorchester takes three days. Thus the Dashwoods have to have left Norland Park on the last day of August to arrive in very early September and yet leave six months for the stay at Norland. To put it another way, deducting six months from just before very early September or late August tells us Mr. Henry Dashwood died in February. So if we assume the journey in the latter part of the novel from London to Cleveland took place in 1798, it follows that Mr. Henry Dashwood died in February 1797 and his uncle, "the old Gentleman," the February 1796. Page Last Updated: 9 April 2004.